Market regulator Securities Exchange Board of India imposed trading restrictions on some listed entities after it identified them as shell companies. Sensex fell over 350 points while Nifty plunged over 1 per cent at day's low. Indian shares witnessed a sudden selloff on Tuesday after a positive opening. The S&P BSE Sensex lost over 350 points while the NSE benchmark Nifty, fell as much as 110 or 1.1 per cent to 9,947 level in intra-day trade. The selloff in market was broad-based. Except metal stocks, all other sectoral indices witnessed selloff and fell between 0.27 to 4.53 per cent. 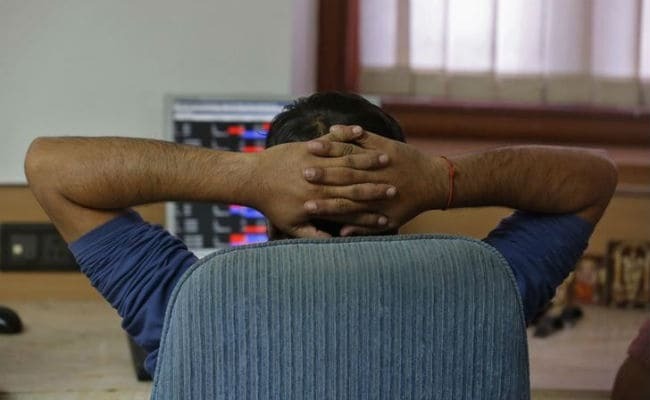 The Sensex finally closed 259.48 or 0.80 per cent lower at 32,014.19 while the Nifty50 settled the day at at 9,978.55, with a loss of 78.85 points or 0.78 per cent. NDTV spoke to analysts, who shared their views on the possible reasons of this selloff. 1) Sebi order on Shell firms: Market regulator Securities Exchange Board of India imposed trading restrictions on some listed entities after it identified them as shell companies. The order limits trading in these firms to once a month and put restrictions in the trading of shares held by the promoters and directors of these companies. “There was profit booking in the midcap index post the news flow of 331 stocks shifting to GSM as many scripts have been declared as shell companies,” said Chandan Taparia, derivatives & technical analyst at Motilal Oswal. GSM refers to graded surveillance measure. If a stock is put in GSM, then that stock will be subjected to enhanced monitoring and surveillance actions. 2) Selloff in energy stocks: The BSE Energy index closed 1.80 per cent lower, led by selloff in oil marketing companies like, BPCL, IOC and Reliance Industries. Among the top five losers in this index were HPCL (down 4.74 per cent), Gujarat NRE Coke (DVR) (down 4.69 per cent), IOC (down 4.44 per cent), BPCL (down 4.35 per cent), and Hindustan Oil Exploration (down 2.90 per cent). 3) No major trigger to drive the market: The volatility gauge, India VIX, is near 13 level, up around 7 per cent, said Mr. Taparia. A rise in the VIX with declines in Put Call Ratio (PCR) suggests that traders are taking a cautious stance and opting for profit booking, he added. Mr. Taparia also attributed the fall to the absence of triggers after the Reserve Bank of India’s rate-setting meet on August 2. “There is no major trigger to drive the market sentiment,” he added. 4) Negative market breadth: Ruchit Jain, technical analyst at Angel Broking, said that the market has been in a consolidation phase since the last one week. “Whenever markets are in corrective mode, they form a lower top-lower bottom structure. Since the past one week the market was in consolidation mode and has now formed this pattern. This is a sign of a corrective market within an uptrend,” he added.